Do we all really want to spend hours at the gym? Most of us have busy lives and prefer to get in and out. If you spend an unreasonable amount time at the gym, you are either over training or wasting time. Get focused, get efficient and use that extra time you save to go shop a new wardrobe for that well-earned physique. Talking— while it’s great to have friends and acquaintances that have similar health and fitness goals, the gym is not the place to have extended conversations. Not only does it bother the other gym goers, but you also get a less effective workout. And if you are talking on your phone, well to put it truthfully, that’s just rude. Take it to the lobby. Or better yet, leave your phone in your car. 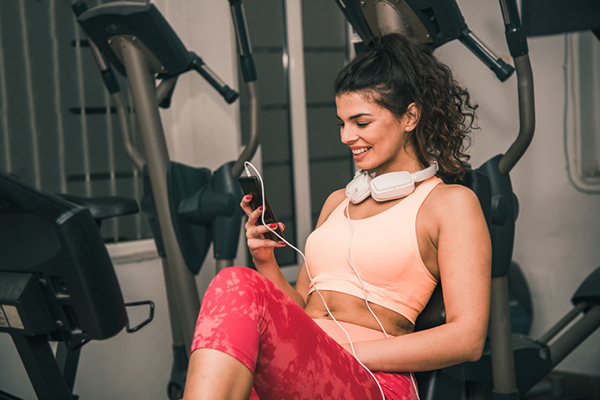 Texting— remember that more members than just you pay to use the gym. If you have time to send multiple texts between sets, you are hogging needed equipment as well as losing your pump. Especially during this time of year, when the gyms are full of New Year’s goal setters, there isn’t enough equipment for you to take a major hiatus on one machine for 30 minutes. 1. Set a timer. Time your rests between sets. Or better yet, set a time limit for your overall workout. When there are time constraints, I can get one hell of a workout done in 35 minutes. 2. Use an MP3 player instead of your phone. Without the distraction of phone calls and texts, you can finish your workout in record time. 3. Stop primping and flexing in the mirror. The duck face, booty pics can wait for another time. After three bathroom visits, you’ve exceeded your ability to call your gym visit an actual workout. 4. Have a plan. Spend less time walking around and second-guessing yourself. Have an idea of what you want to do before you get there. Be willing to be flexible, though. The equipment you need might not be available (sometimes because of the above ridiculousness). Also remember that this time of year, it may not be possible to superset or use circuits as you may lose your equipment when you move. 5. Push yourself. Get it done strong and fast. Use intensity to change up your workout and keep yourself focused. While the gym might seem like the place to make social connections, most of us go to actually work out. Keep the respect of your gym neighbors and the staff by respecting everyone’s time and space while you enjoy your own efficient workout.